The National Museum of Computing at Bletchley Park has to be one of my favourite places to visit since arriving in England, so we thought it might be a nice place to visit again on New Year’s Eve. The home of British Codebreakers, with Colossus and the Tunney, it is easy to be inspired by Bletchley Park’s fascinating history and its contribution to the world of computers. As someone who loves technology and tends to build my own computers, I was like a kid in a sweet-shop in the Museum. Used during World War II in complete secrecy, Bletchley Park served as focal point for Britain’s code-breaking operations and during those years, thousands of people worked at Bletchley to crack the codes and ciphers being sent by Germany. Bletchley Park has been the inspiration for many recent TV shows and films including “The Bletchley Circle” and Benedict Cumberbatch’s “The Imitation Game”. It was at Bletchley that Enigma and Lorenz encoded messages were deciphered to reveal the enemies’ plans and was crucial to the Allies’ eventual victory in the war. This was achieved using human ingenuity and several top-secret machines. Among them was Colossus, but it was not until 1975 when the first information about Colossus was declassified could the story begin to be told. Possibly the highpoint for me had to be the opportunity to see Colossus. 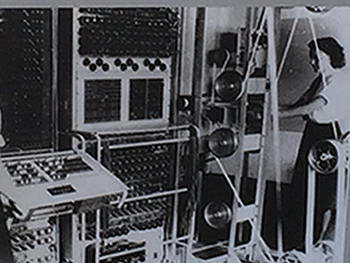 The world’s first electronic computer, Colossus had a single purpose: to help decipher the Lorenz-encrypted (Tunny) messages between Hitler and his generals during World War II. Another incredible addition at Bletchley is Harwell Dekatron computer, affectionately know in the computer world as the “WITCH”. With its flashing dekatrons for volatile memory (similar to RAM in a modern computer), personally I think this is one of the most beautiful computers I have ever seen and it really is a sight to behold. 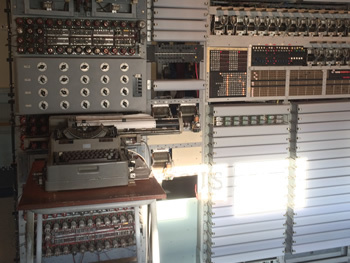 Amazingly, this pioneering computer first ran in 1951 and by 1952 was using 738 Dekatron tubes for program and data storage, relays for sequence control and valve-based electronics for calculations. The museum doesn’t stop there and contains a number of galleries including “Women in Computing” and other galleries that continue to chart the history of computers right up to modern day. Their website also has a lot of interesting reading but if you are into history or computers, The National Computer Museum is definitely one for the bucket list.